Our team of tires and wheels experts offer a technical section to provide you with tools and information to guide you in your product selection. Find a variety of ratings of the best tires on the market, characteristics of the tires and wheels, definition of charters, complementary products and other. This page is THE reference for your questions! 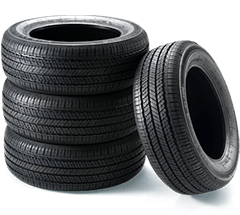 To help you choose, we selected two tires in each of the categories for the following criteria: the best value for money, and the most affordable possible. PMCtire experts present a classification of the best summer / all-season and winter tires. Our tire ratings are based on 11 specific criteria and cover more than 600 tires models grouped by 12 different vehicle categories. Made by real experts, our ratings are approved and recognized by car magazines. Our first concern? Suggest the best tires and advise you on the best possible purchase. To learn more about the features and characteristics of a tire, check out this section to have all the information needed to deepen your knowledge. You will find many answers to your questions, for example, how many years can my tire last. You will also learn the meaning of all the symbols and lettering on a tire sidewall, plus some information on charters and norms of the characteristics of the tire. You have questions on wheels, rims, and mags? Refer to the technical data for fast and accurate answers. 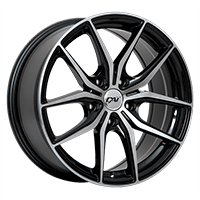 PMCtire presents several wheel types to help you choose the appropriate wheels that are most suited to your needs, as well as your vehicle’s ones. For details on specifications of complementary products and services such as wheel alignment, centering rings and bolts and nuts, also visit this section. The TPMS system is defined as the tire-pressure monitoring system. It is made out of two parts, including a TPMS valve and a sensor. There are two types of valves and two sensor models. To learn more about their differences and specificities, refer to this column. We also propose a technique to facilitate synchronizing your new sensors with your vehicle, so that everything works perfectly. In fact, this system is designed to give you the exact pressure in your tires, and underinflation will be notified by the computer in your dashboard. To maximize the lifetime of your tires and wheels, follow our advice on installation and maintenance. It is essential to give great importance to the following: wheel alignment, tire pressure and appropriate storage. All this in order to reduce the failure probability and optimize the performance of your vehicle and tires. Further advantages will result from proper maintenance, such as security and cost savings.